..:: ARMIN RAHN - Agency & Management - Former Ladies Of The Supremes ::.. Although always a trio the Supremes had eight members, and each of the ladies contributed to the group’s unequalled recorded success of 20 million seller singles and dozens of albums. 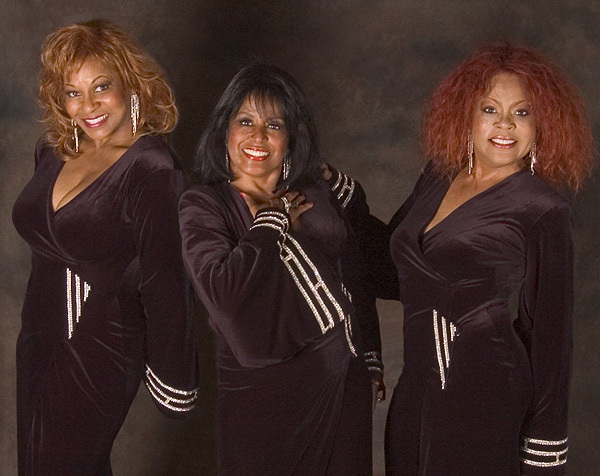 Scherrie and Lynda’s group are the only trio in the world performing today featuring authentic members of Motown’s Supremes, appearing at venues that have included London’s Royal Albert Hall and Wembley arena and a host of others. Florence Ballard, who also chose the groups name, formed the Supremes with members Diana Ross and Mary Wilson. Now celebrates her 32nd year as a Supreme. 1972 saw her debut as the Supremes lead singer at the prestigious HIC arena in Hawaii. A native of Philadelphia, Lynda started her early career as a at Motown singer which led to associations with Stevie Wonder, James Brown, Joe Cocker Aretha Franklin and Ringo Starr a.o..
Born in Motown’s hometown Detroit, Sherrie is officially documented as the Supremes final lead singer and she also celebrates 31st year as a Supreme. Sherrie was discovered by famed producer Eddie Holland (Holland / Dozier / Holland) when he heard her singing with her sister Freda Payne (Band of Gold). Before joining The Supremes she recorded for Motown as a solo artist and worked with many artists such as George Benson, Jose Feliciano and Smokey Robinson. Known as ‘the little lady with the big voice’ she first brought her suberb vocals to The Supremes in 1973. Like Lynda, Sherrie features on all of The Supremes ‘Greatest hits’ collections issued around the world, and continues to play a major part in keeping the group’s music and image alive. Completes the group. A native of Dallas Texas but raised in Los Angeles Freddi has performed with several artists such as Patti LaBelle, Sammy Davis Jr and Lisa Stansfield. TV credits include the Tonight Show and Arsenio Hall. She has recorded with Lou Rawls, Liza Minelli, The Beach Boys and Jermaine Jackson. She has recorded and performed extensively with Gladys Knight. Freddi’s vocal talent is the perfect ingredient to complete this legendary group.